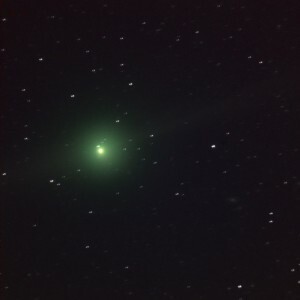 Imaged at 5:00 local time, February 6th 2009, Perth Western Australia. 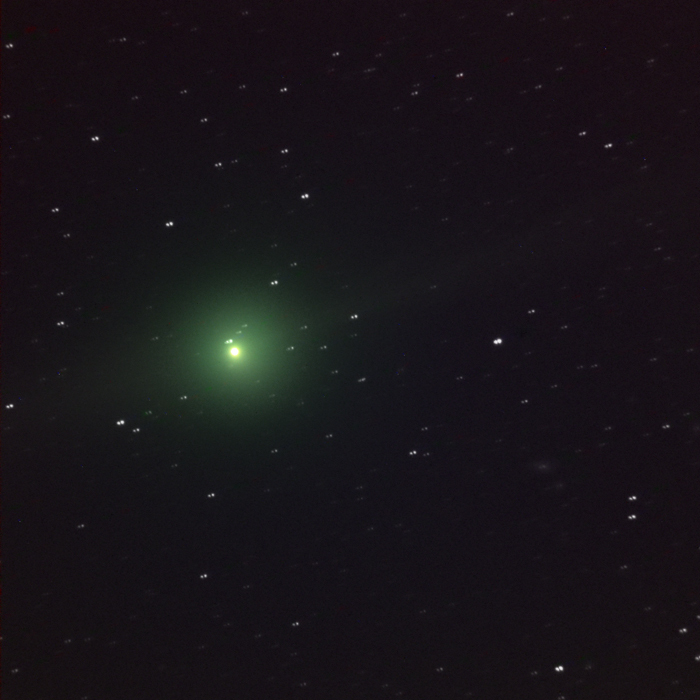 The image of Comet Lulin was captured using LRGB filters. 10 minutes each of RGB, combined with 6 minutes of Luminance, all 120s sub exposures (unguided). Tracking on the comet itself produces the star trails. Nice comet with a warm glow.